My Sunday Photo: 16 April 2017 | Phil – Refuelled! 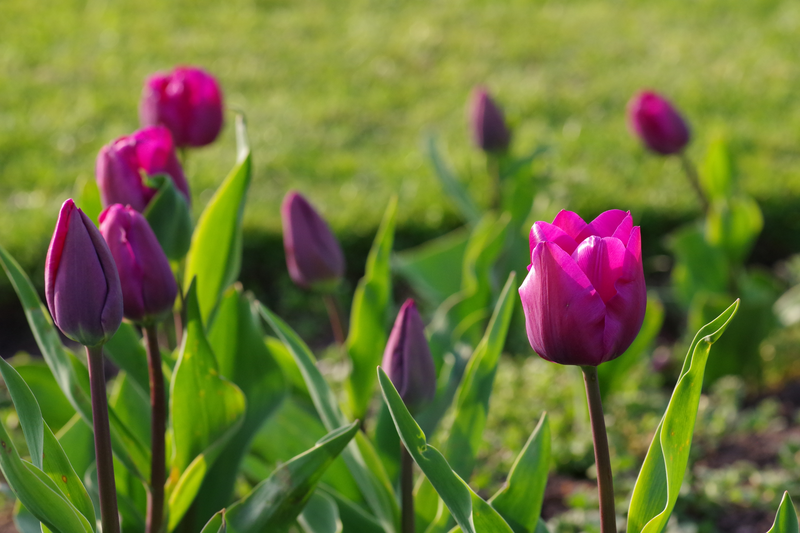 Yes, it’s another tulip picture – even though I posted one only two weeks ago! The main excuse for this is the colour of these ones. Some of you know already how much I love magenta. Green, incidentally, is its complement, in terms of the physics of light and colour, as magenta combines red and blue. I’m not too sure of the composition, here (I’ve given you the full frame, as shot) but my main intention was to capture the delicate look of the thin petals in the evening sun. In think the shallow depth of field, and hence the blurring of the background and most of the blooms seems to work, though. The green sets the purple off so well, a beautiful trick of nature highlighted by you! Tulips are so beautiful though, definitely my favourite flower!